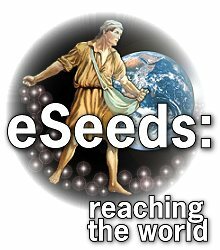 eSeeds For The Garden of Your Heart: Does Wisdom Lead To Love? Does Wisdom Lead To Love? “I love those who love me,” says Wisdom. “Those who seek me find me,” she continues. Wisdom, then, is available to everyone who seeks her. If those who find her love her, she will love them in return. Furthermore, the matter is set in absolute and unquestionable terms. How can this be true? It refers us back to verse thirteen: “To fear the Lord is to hate evil.” If we love wisdom, we will automatically hate evil. Love is always a choice and those whom we choose to love become the center of our lives. As a result of this choice, we honor them by our loyalty, our faithfulness, and obedience. Love is much more than emotions or sentiments. Love is other-centered, sacrificial, mutual and reciprocal. If we truly love wisdom, we will apply its truth to our lives and benefit from its rewards. That’s why God gave us Proverbs! He wants His very best for us! An interesting, yet seldom used phrase is “self-destructive or self-defeating behaviors.” Like it or not, many of us engage in behaviors that do not work in our favor or best interests. Often we are unaware that what we are doing will destroy and defeat us: not studying His Word and praying, not being accountable to or serving God. Even Solomon, with all of his wisdom and wealth, came to the end of his life and lacked self-control and had no fear of God. And if God offers us anything, it is the path to success in life through His work and His Word. We have His wisdom to endow us, His light to guide us, His power to strengthen us, His presence to comfort us and His grace to save us. Prayer: Father, You have offered us so much more than we deserve. Awaken our minds and hearts and help us to take advantage of each of Your gifts. In Jesus’ Name, Amen. Scripture For Today: Proverbs 8:16 I love all who love me. Those who search will surely find me. Does God Have An Attitude? "Uh, Oh, Here Comes My Dad!"